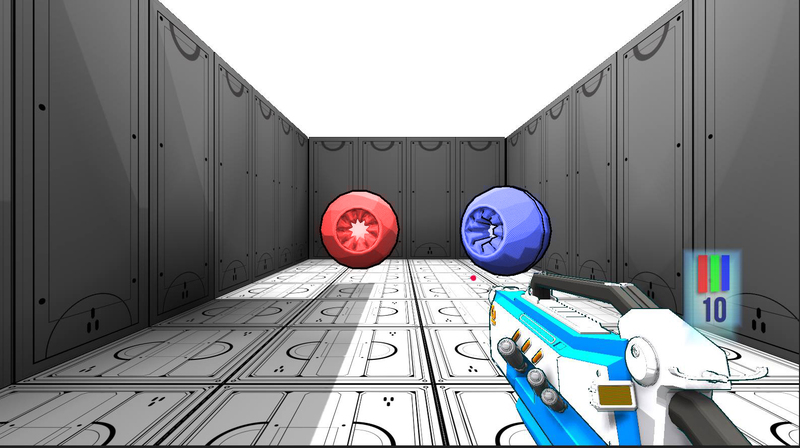 Chromatism is a FPS Game which takes place on a closed arena. Player has 3 health bars which are represented by 3 colors (Red, Blue, Green). Each Enemy has a specific color (same colors as health bars). When the player is shot by an enemy, the health bar corresponding to the enemy color decreases. The player has to loot items when he slays an enemy to increase health bars. For instance, a killed blue enemy drops blue items which increase the blue health bar. Keep health bars colored full in order to be more powerful !